Pay Per Click advertisement campaign, also known as PPC campaign, is one of the best online marketing strategies out there. It’s an auction-based digital advertisement system. In this model, you bid against other advertisers for a keyword. If your bid is the highest, your advertisement will show up at the top of the search result page. PPC is effective as it allows you to engage with your target audience precisely where and when they are most likely to want your product or service. This is why several marketers use PPC campaigns to find new consumers for their products and services. However, running a PPC campaign isn’t easy. Usually, you need a well-planned strategy without which your campaigns will certainly fail, leading to substantial financial losses. Here are five tips that will help you run successful PPC campaigns. One of the main drawbacks of PPC ads is the limited square footage for framing the text message. However, there is a simple way to overcome this problem, called extensions. With ad extensions, you can also include useful information such as your address or contact number or a specific call-to-action that will encourage users to click. Callouts: With these extensions, you can add supplemental text directly below your main ad text. They usually include specific facts about your product or service that are likely to attract users. Consumer Reviews: You can also include customer reviews. However, pull them from your landing page and not third-party sites because you need the traffic to dock on your site. Structured Snippets: These allow you to highlight specific features of your products or services. They provide a quick preview of your business. You can take advantage of Google’s Individual device bid adjustment feature. Advertisement performance, order values, and user behavior often vary on desktops, mobiles, and tablets. If you don’t treat devices differently, you will end up splitting all your click-and-conversion data, resulting in lower success rate. On the other hand, device-specific campaigns provide you with a clear overview of the user behavior history for each type of device. As a result, you can efficiently manage modifiers at the product level. This device-specific data allows you to adjust bids according to the conversion potential of individual SKUs. Naturally, in the long run, you end up lowering your cost per click and per conversion while increasing the odds of success. You can use the device bid adjustments at Campaign and Ad group levels. If you set up device bid adjustment on both levels, Google uses only the ad group level adjustment to determine your bid (cost). Negative keywords allow you to trim unnecessary Web traffic coming to your site, thereby preventing clicks that will eat into your budget. Thus, you can spend your ad budget more judiciously. Another example of negative keywords is search terms consisting of words such as “free,” “discount” or “cheap.” For instance, if you sell printable birthday cards online, terms such as “free online printable birthday cards” will bring irrelevant traffic to your site. You need to remove words such as free from the search terms. You should also include competitor brands as negative keywords in your list, especially if your prospects are directly using the brand names as a search term. You can find the negative keywords option in the Shared Library section under the Campaigns tab. You can add your negative keywords to the Keywords box. Conversion tracking allows you to measure the performance of your AdWords campaign. You can also identify what type of content or advertisements work for campaigns and allocate your marketing budget accordingly. Thus, you can monitor the effectiveness of your campaign to know where, when, and how much you should spend on the ads. You can find the Conversions option under the Measurement tab in the Tools section. Currently, Google offers four types of conversions, including website, app, phone calls, and imports from any other system. You can pick the category (such as Downloads, Sign-ups, and Purchases) that closely matches what you are tracking. You can also set a conversion window (minimum 30 days) and a conversion value. Once you have filled out the necessary information, Google will help you generate the appropriate HTML code. You can insert this code into your webpage. The default language is usually HTML. However, you can use other alternatives such as CHTML, XHTML, and WML after consulting your website developer. Being an auction-based system, it takes a substantial budget to run a PPC campaign. • The average cost per click (CPC) is between $1 and $2 on the search network. However, expensive keywords in Google Ads and Bing Ads can cost $50 or more per click. • The average small business using Google Ads spends between $100,000 and $120,000 annually on Google paid search campaigns, while giant retailers may spend up to $50 million per year. As you are investing large sums in a PPC campaign, you may want to start getting 10X-15X returns immediately. However, it will take considerable time until you start enjoying the fruits of your PPC efforts. In other words, PPC will not increase your conversions overnight. Usually, you will spend the first month gathering the data on your target advertising market. You will also need to spend considerable time and budget on testing (A/B split test) multiple advertisement groups. You can use any one of the ad scripts available out there to compare two or more ads on the basis of impressions, CPC, and CTR, among others. So, during the first month of your PPC campaign, focus on testing and refining your strategy instead of your Return on Ad Spend (ROAS). Find out which type of advertisements work best for you, monitor the list of primary as well as negative keywords, and try different CTAs and advertisement content. 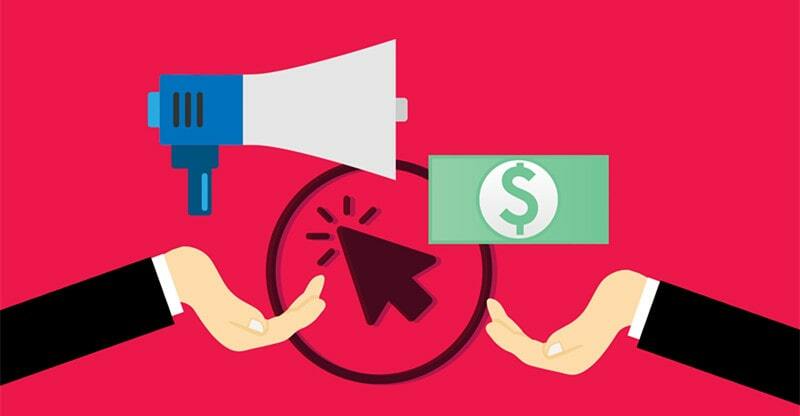 In other words, you will need to burn some budget before your well-rounded advertising campaign starts generating sales conversions. PPC is an excellent way to increase your sales conversions. However, it takes a lot of planning to run successful PPC campaigns. Hopefully, these five PPC management tips will help you hit the ground running for current and future advertisement campaigns.